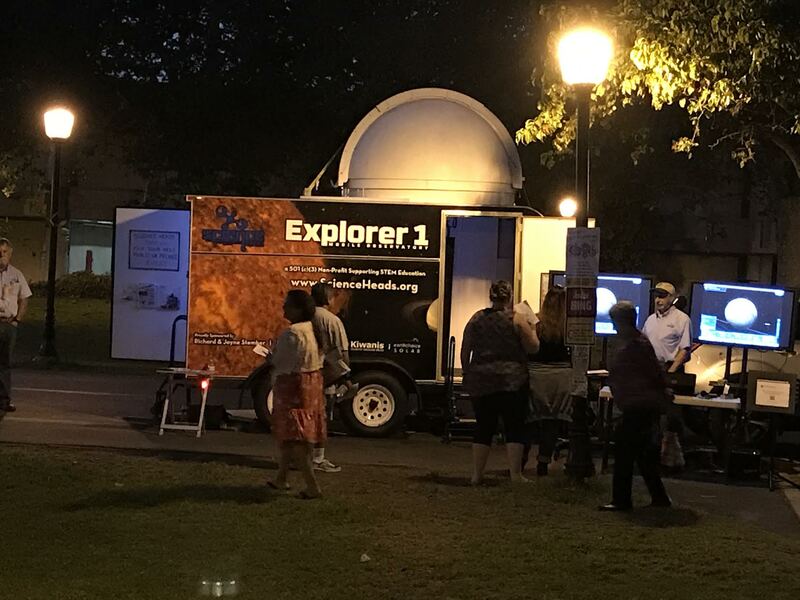 Several weeks ago, Full Sail Graphics & Marketing wrapped a moving scientific laboratory that included a fully functional telescope. The purpose of this trailer was for it to travel around and promote STEM subjects to children. In August, The Science Head Trailer did exactly this by traveling to Idaho Falls. Their telescope was used by NASA to live stream the full solar eclipse. So, if you watched this live stream, you can thank the team at NASA but also Science Heads! This week of September twenty-fifth through the twenty-eighth, they were in Huntington Beach at the ninth annual Rotary sponsored Science Showtime targeted to fifth and sixth graders to get them excited about STEM subjects via hands-on scientific based exhibits. Over two thousand students were in attendance for this exciting event. These young students were able to participate in several hands-on activities in Golden West Community College science laboratories. They were able to have amazing experiences in the field of science such as: collect DNA, make slime to take home, use a microscope, control a robot, read to a dog, look at their own cells, turn pennies into silver and gold, generate electricity, play math bingo, create colored fire, see fluorescent minerals, play with creepy crawlers, touch a skeleton, learn about their bones, and so, so much more. We at Full Sail Graphics & Marketing are proud of this trailer wrap and so excited about the great work they have done. Can’t wait to see where their next stop is!